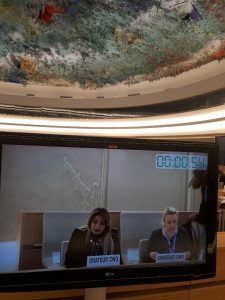 CAP Liberté de Conscience would like to share with the Council its deep concern about the situation of religious liberty in China that is getting worse, not better since the last UPR of China. A new law on religion came into effect in 2018 and makes repression of all groups outside the government-controlled religious bodies, including Protestant house churches, much harsher. refuse to join the CCP-controlled Patriotic Association are still arrested. And some groups, such as Falun Gong or The Church of Almighty God, are outlawed entirely, meaning that their members are mercilessly hunted, with tens of thousands arrested, sentenced for no other reason than being active in prohibited group, and even tortured and killed. Their persecution is justified by massive campaigns of fake news, accusing them of crimes they have never committed. The extent of the CCP control of Tibetan Buddhism remains intolerable, and Buddhist and Daoist statues are being destroyed all over China under various pretexts. At least one million of Uighurs and other Muslims are detained in the “transformation through education” camps. While the CCP has claimed they are “schools,” the magazine Bitter Winter has posted videos proving they are really jail. We urge China to open a constructive dialogue with the civil society and to accept the visit of UN Special Rapporteurs without conditions.